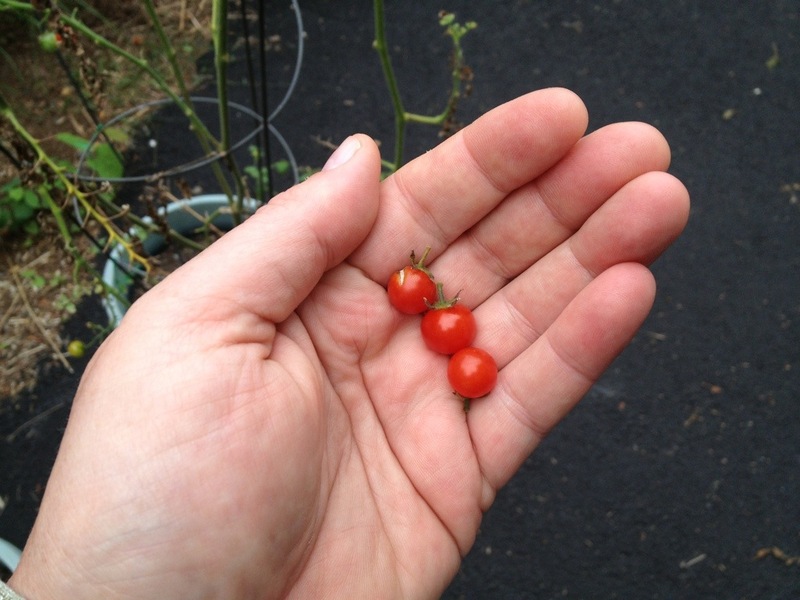 JerzeeTomato | The Jersey Tomato….as iconic as the Idaho Poatato, and better tasting, too! Is this thing still here? I wear gloves when working with any chile hotter than a jalapeno. You should too. And if I cant convince you, maybe THIS will. The scourge of basil growers everywhere has struck. 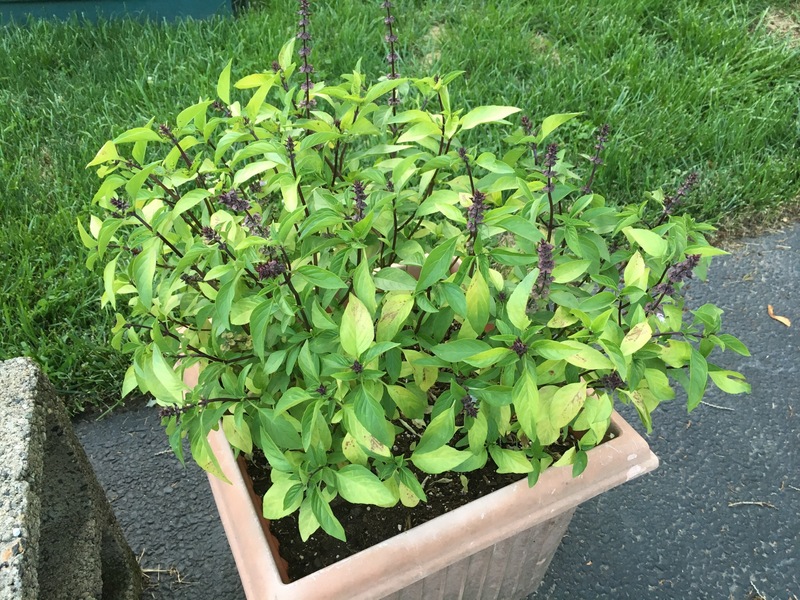 I have planted basil plants a half dozen times this season and watched as every plant has yellowed, then turned brown and shriveled up. After noticing the latest batch (one week in!) start to turn. I turned to the interwebs and googled “basil fungus” and sure enough. Downy Mildew….and no known cure. 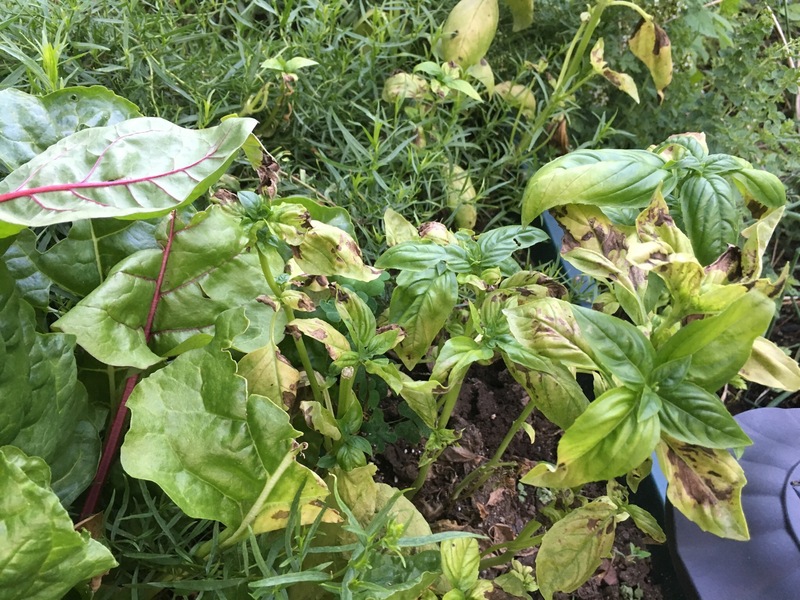 I guess I should be glad I’m not a basil farmer. On the surface this would seem to be a good idea, and I’m for anything that supports family farms. But, does this leave the farmer to beholden to food producers? I really don’t know. But I do know this, you didn’t come here for answers to life’s big questions. I was raised to never, ever, ever refrigerate tomatoes. But I also find the folks in The Food Lab to be extremely accurate. It’s been a while, hasn’t it? Well the first BLT of the summer made me think of posting. That and paying the bill to keep jerzeetomato.com for another year. These little gems went into a delicious chicken fricassee last night. They’re Sweet 100’s from a potted plant that just won’t quit.